I'm not reporting you. I've been through lots worse here and other sites. I was just ticked for causing Smerkin any trouble, he don't mess with anyone. You can delete your comments if you want, everything is cool. I even upvoted them now. I mean, I'm even making fun of Tyson, and I actually like the guy, so don't worry about me, it's just words. 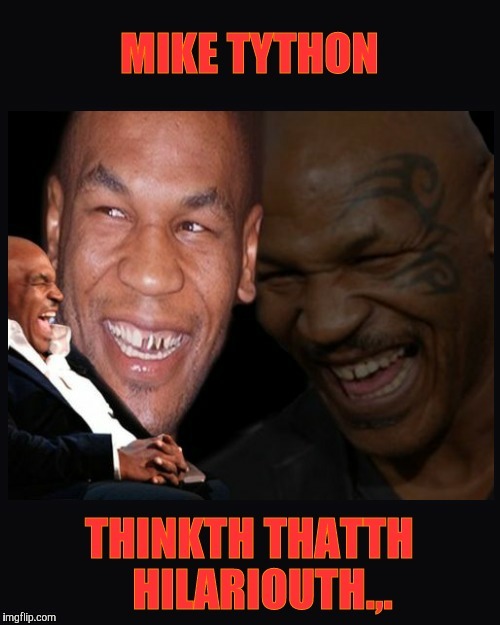 MIKE TYTHON; THINKTH THATTH HILARIOUTH.,.